Size: 5, 4.5, 4.0, and 3.5 mm. 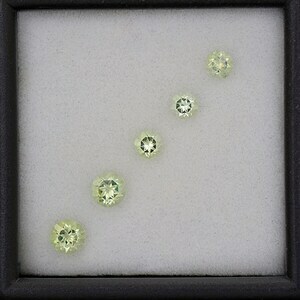 Here is an excellent set of Spinels! These beauties are a lovely rose pink color that is rich and attractive. 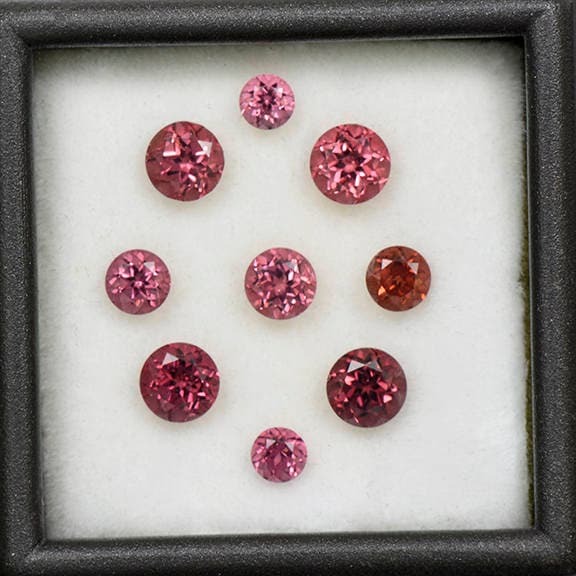 The color of each stone varies slightly, but all together look matching. They dance in the hand with brilliant saturated glitter, especially out in the sunlight. The rounds range in size from 5 mm to 3.5 mm. 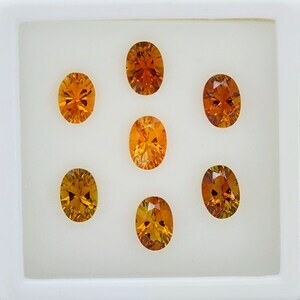 The clarity of each stone is excellent and they all look like candy. These could be put all together to make an enchanting pendant, but also could be split up to make several piece of jewelry. There are several match pairs here for earrings or accents. 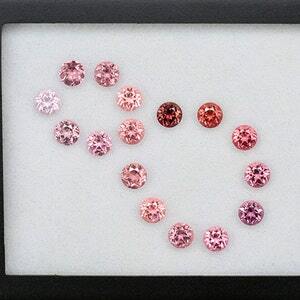 This rose color is approaching red, and one of the most desired colors for Spinel. Enjoy! 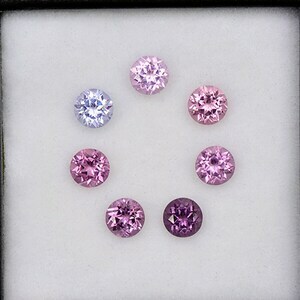 Excellent Multi Color Spinel Gemstone Set from Burma and Sri Lanka 4.95 tcw.